Viknesh Vijayenthiran December 3, 2018 Comment Now! 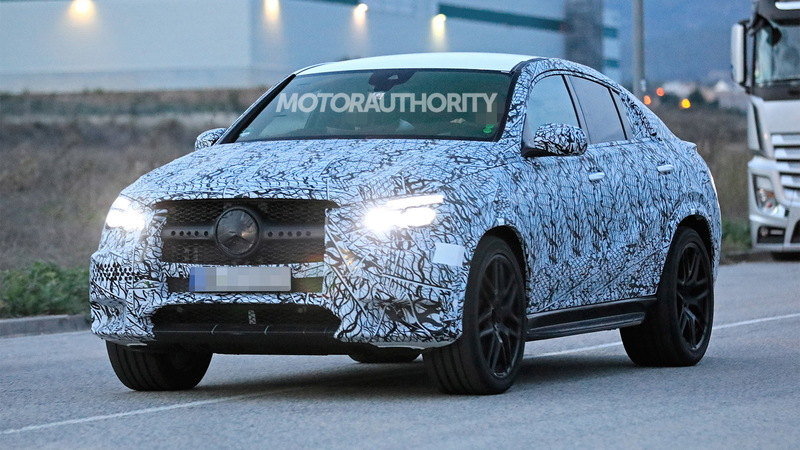 Mercedes-Benz has just introduced a redesigned GLE for 2020, and once again the mid-size crossover SUV will spawn a rakish GLE Coupe. 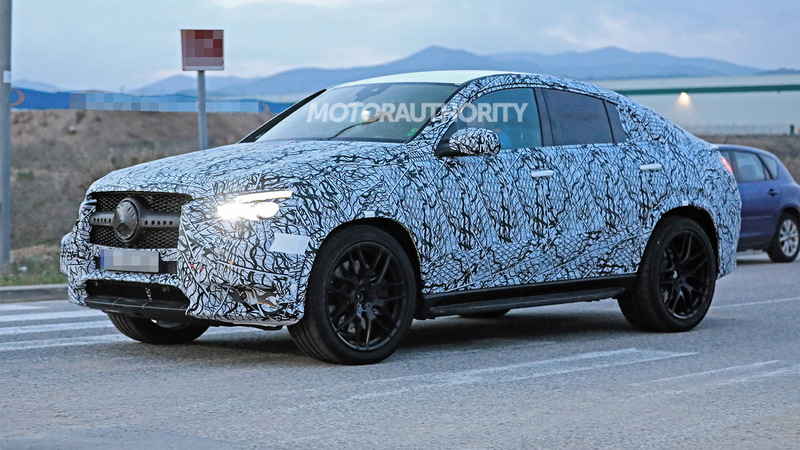 Prototypes for the redesigned GLE Coupe have been spotted for almost a year but now we have our first spy shots of a prototype for an AMG-enhanced version of the coupe-like crossover. The lowered suspension and massive wheel and tire combo confirm the tester as a member of the AMG family, and the presence of round exhaust tips suggest we're looking at the entry-level model, i.e. the replacement for the current GLE43 Coupe. Another giveaway is the single-bar grille up front. The fully fledged GLE63 Coupe should sport AMG's multi-slatted Panamericana grille. The replacement for the GLE43 Coupe will feature GLE53 badging. The new name reflects the adoption of the same mild-hybrid system built around Mercedes’ new inline-6 engine that debuted in the 2019 CLS53 and has since filtered across to the E-Class family. The system, which also boasts an electric compressor, delivers a V-8-like 429 horsepower and 384 pound-feet of torque but with efficiency around 20 percent better than a V-8. The GLE53 Coupe will also sport a 9-speed automatic transmission and rear-biased all-wheel-drive system. 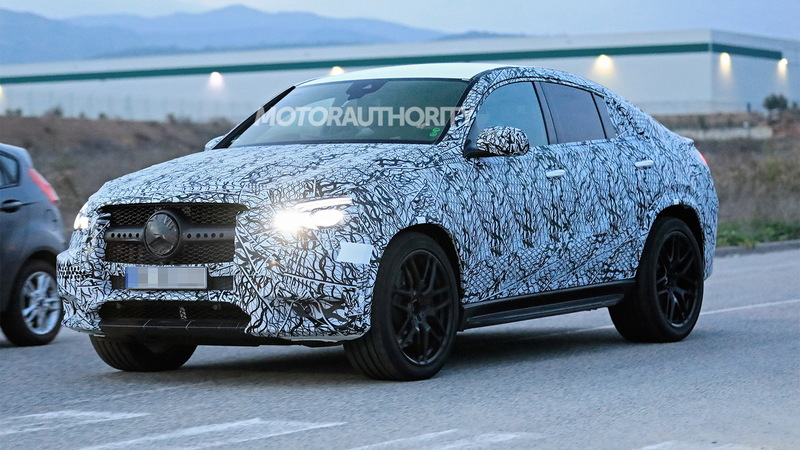 As for the GLE63 Coupe, this should come with AMG’s familiar 4.0-liter twin-turbocharged V-8, developing around 550 hp in standard tune and closer to 600 hp in spicier S flavor. 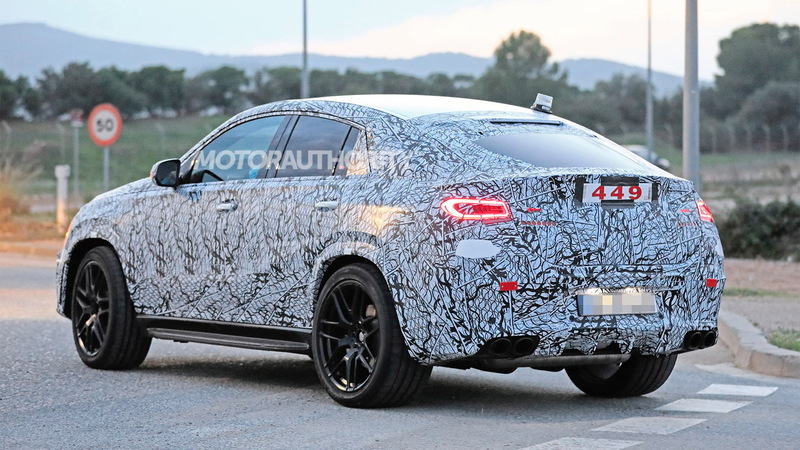 The redesigned GLE Coupe is due for a reveal in early 2019 and on sale later that year as a 2020 model. 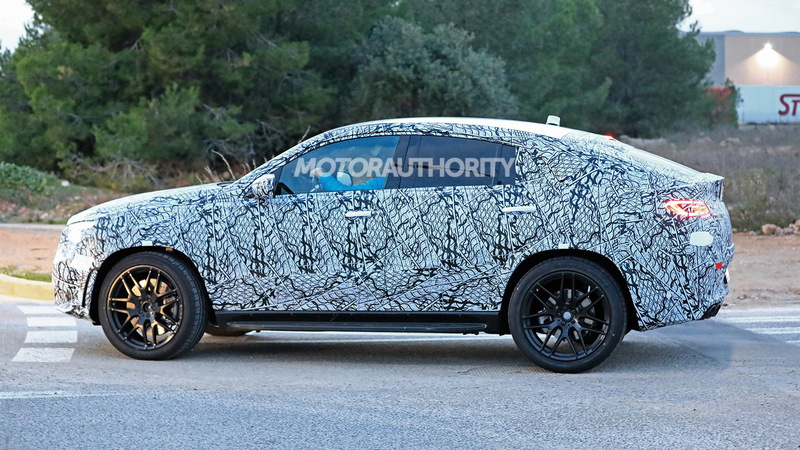 This GLE53 variant should trail it by about six months to a year. And further out, a plug-in hybrid option will join the fold.